Something about having a robotic arm is so appealing to children that they end up needing to pick up everything with it. Selecting a book to be read before bedtime, getting clothes from their dresser, picking up toys off the floor and many other tasks will be happily performed by your child with their new Grab Bot in hand. 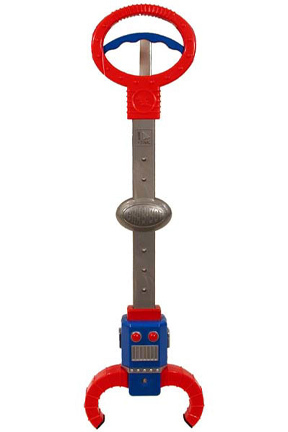 This super duper grabber arm features real ratcheting noises as it operates which only adds to the appeal. Thanks to a wide grasp, and rubber tipped "fingers", Grab Bot will pick up just about anything. It has a large handle with an easy to squeeze mechanism that controls the grabbing. Kids of all ages can easily work this toy to pick up all kinds of stuff. 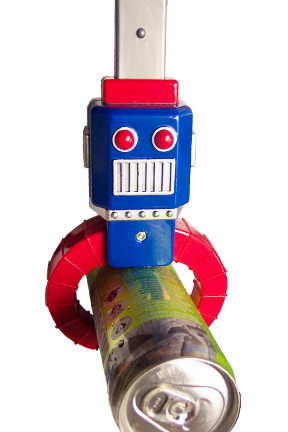 The long length of this robot arm can be a real bonus and will help children grab things that are beyond their reach. All of a sudden that toy that dropped behind the shelf or the ball that rolled under the couch is a situation that can be handled by the child that created it. When you need a little help grabbing an item, Grab-Bot is the ultimate choice. It makes the perfect birthday party favor or incentive to make room clean up a fun activity for your child. The wide pincher makes grabbing easy and due to it's shape, it is ideal for picking up small or circular objects. Just pull down on the grabbing mechanism and hear the gears working! What it wants, it grabs. The Grab Bot cannot be reasoned with! 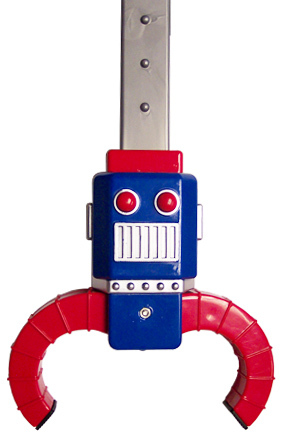 It features cool robotic styling, and it actually looks like a little robot on a stick with red robotic grabbing arms. Measures approx. 19.5" long. Ages 3 and up. By Reeve and Jones.Order Yours Today! 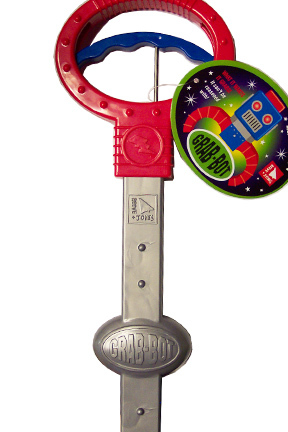 Grab Bot - So fun your child will want to pick everything up using this super duper grabber. Simple operation allows children of all ages to enjoy using it. Major Fun In A Small Package. These Tiny Suckers Stick And Pop For Suction Construction On A Small Scale. A shiny, all-steel fidget toy with six removable arms.